There is a place in Colombia called Bahia Portete. There was a massacre there in 2004. 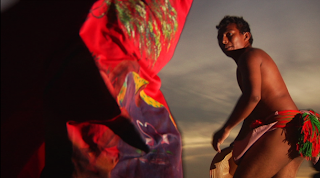 The people from that place are Wayuu Indians, indigenous people with a matriarchial society. Colombia is an important US ally. BOGOTA, Colombia – A Colombian court ruling overturning an accord giving U.S. troops access to more of Colombia's bases will have little impact on military cooperation with Washington, President Juan Manuel Santos said Wednesday. He said Colombia, the United States' closest ally in South America, will continue to get U.S. help for the government's fight against drug traffickers and leftist rebel groups....In Washington, State Department spokesman P.J. Crowley called the military relationship with Colombia important and said the administration will consult with Santos' government on any changes needed to be made....Colombian military leaders stressed that the accord did not increase the number of U.S. troops and civilian contractors in Colombia beyond the limit of 1,400 set by U.S. law. Colombia is the third largest recipient of US foreign aid. Number one: Israel. Number two: Egypt. Colombia's outgoing president, Alvaro Uribe, was selected to be on the UN's investigation into the Mavi Marmara probe. That should help. After all, "in 2007, the American Jewish Committee presented Uribe with its “Light unto the Nations” Award." The outgoing President of Colombia, Alvaro Uribe, will be the panel’s Vice-Chair. Representatives of Israel and Turkey will also serve on the panel, which is to begin its work on August 10 and give Ban a progress report by mid-September....The panel will be authorized to review reports submitted by investigators in both Israel and Turkey, but will not have the authority to subpoena any witnesses. One of the concessions Israel won as a condition of its participation is that neither Israeli soldiers nor any Israeli citizens can be questioned by the panel. At most, political leaders may be allowed to give statements. ...Uribe’s job, on the other hand, may be to bring Turkey back on board with the US, Israel and Colombia, if not as a partner for peace, then at least a partner in war. The Israelis like Uribe. Colombia purchases a lot of military equipment from Israel. Colombia also hired Israeli military officers as mercenaries. A September 2007 report explains that these mercenaries did specific work. The Israeli advisors - reportedly consisting of three senior generals, a lower ranking officer, an unnamed Argentinean officer and three translators - were hired under a reported US$10 million contract by the Colombian Defense Ministry to advise on how to improve the army's intelligence gathering capabilities. Santos reportedly approached former Israeli Foreign Minister Shlomo Ben Ami last year about the deal. The Israeli group operates from Tolemaida in Cundinamarca Department, 240 kilometers from the capital Bogota, where the Colombian army runs its "Lancero" counterinsurgency-training course, with Colombian army instructors being assisted by US military personnel. The Israeli forces specialize in debriefing former guerrillas; previously, civil servants without specialized knowledge handled the interrogations, while the Israelis provide specialized interrogation techniques to improve the flow of intelligence from the de-briefings. One of these Israeli mercenaries was convicted for terrorist activities -- training gunmen from among the local residents. Klein is wanted by Colombia's law enforcement agencies after being convicted for training a terrorist group in 1990 - a group supported by Colombian drug dealers. The former Israeli army lieutenant colonel was convicted of terrorist activities and the training of gunmen from among local residents on territory not under the control of the official authorities. "...Klein was a former paratrooper and commando in the Israeli Army who left military service in 1985. But not to worry! Schlomo Ben Ami, cited in that report as the minister who made the deal with Colombia, just this week wrote about Colombia's New Dawn. (http://www.project-syndicate.org/commentary/benami45/English) Colombia is doing really swell now. MADRID – Trapped since the 1960’s in a protracted armed conflict with the most unscrupulous militias imaginable, and hostage to drug lords who turned the country’s vast rural areas into fiefdoms of crime and untold atrocities, Colombia long projected to the world the image of a country addicted to violence. But no more. Ooops!! He forgot to mention that the Israeli mercenaries he sent to Colombia helped train those "most unscrupulous militias imaginable"!! How modest. Or perhaps disingenuous. Of course, that was also Very Regrettable, that Klein turned out to be a Rogue. Who could have imagined? Anyway, you can click through but the main point being US and Colombia and Israel: tight. This all goes way back. "I learned an infinite amount of things in Israel, and to that country I owe part of my essence, my human and military achievements" said Colombian paramilitary leader and indicted drug trafficker Carlos Castao in his ghostwritten autobiography, Mi Confesin. Castao, who leads the Colombian paramilitaries, known by their Spanish acronym AUC, the largest right-wing paramilitary force to ever exist in the western hemisphere reveals that he was trained in the arts of war in Israel as a young man of 18 in the 1980s. He glowingly adds: "I copied the concept of paramilitary forces from the Israelis," in his chapter-long account of his Israel experiences. Castao's right-wing Phalange-like AUC force is now by far the worst human rights violator in all of the Americas, and ties between that organisation and Israel are continually surfacing in the press. Fifty of the paramilitaries' "best" students were then sent on scholarships to Israel for further training according to a Colombian police intelligence report, and the AUC became the most prominent paramilitary force in the hemisphere, with some 10,000-12,000 men in arms. The Colombian AUC paramilitaries are always in need of arms, and it should come as no surprise that some of their major suppliers are Israeli. Israeli arms dealers have long had a presence in next-door Panama and especially in Guatemala. ...During civil wars in which the US does not want to be seen getting its hands dirty in Latin America, the superpower loans Israel money at a very good rate, and then Israel uses these funds to do the "dirty work". In this regard, in Latin America at least, Israel has become the hit-man for the US. 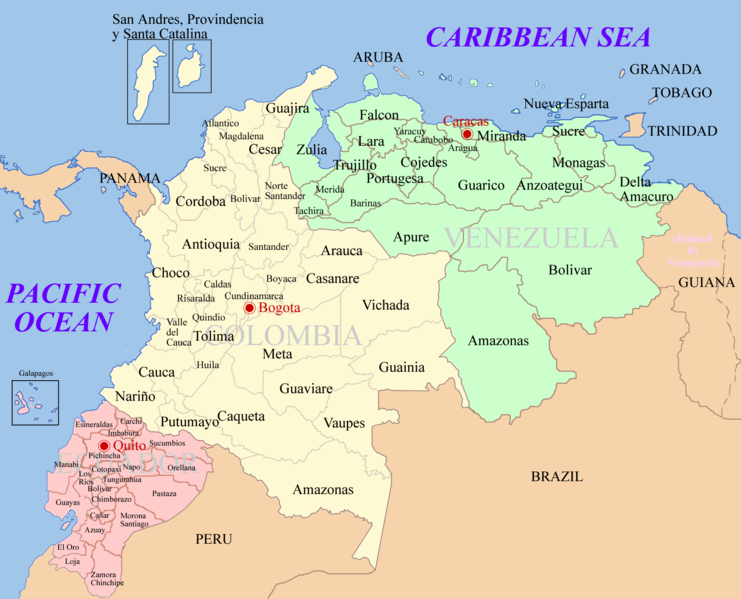 The Bahía Portete massacre was a massacre in the Colombian town of Bahía Portete (municipality of Uribia), in the Department of La Guajira on April 16, 2004. It was perpetrated by paramilitary groups of the United Self-Defense Forces of Colombia (AUC) Wayuu Counter-Insurgency Bloc led by alias "Jorge 40" killing 12 people and the disappearance of one. Some 600 people were displaced against their will and took refuge in neighboring Venezuela. "Jorge 40," in one of the many dozens of pictures available on a Google image search. Obviously a fugitive of justice. As you can see he has his microphone on for the interview. Excerpts from: It seems impossible to believe: A survivor describes the massacre that destroyed her Wayuu community: READ IN FULL. Who lives in your community? Two families live there: The Fince Epinayuu family and the Fince Uriana family. They have been there for over 500 years. How did the paramilitary groups begin to come to the area? They began to arrive in civilian dress, in groups of three or four. We used to see them with a group called the POLFA, which works with the DIAN. But we never imagined that they were paramilitaries. But a few months later, they began to identify themselves as paramilitaries. Especially at night, they would put on their uniforms and say that they were paramilitaries. That was when they began to disrespect the community, to take things. For example, they would come to the stores and ask for things and refuse to pay. People would say, “But why aren’t you paying?” They would respond, “Because we’re paramilitaries, so shut up, because if you don’t we’ll kill you.” They did the same thing if someone had a gas station, and with animals. They would come to the corrals and get on an animal and just ride away, and because it was them, nobody could say anything. And if you did say something, they would abuse you. Did they work with the police or the army? It’s a very serious thing to say this, but we are sure that they worked with the police. The police were there, and the paramilitaries were there too. The police knew that they were paramilitaries, because the groups would walk around saying that they were paramilitaries. None of the police said a thing. They were from the interior. They talked like paisas [people from Antioquia]. They were white. You said earlier that the paramilitaries wanted to take over the land in Bahía Portete? Yes, they wanted to be able to use it without interference for drug trafficking. And to bring in arms and export whatever they want through the port. That’s why they wanted to do away with the community. Various accounts from witnesses hiding nearby say that one elderly woman was beheaded and tortured. Two people, thought to be children, were burned alive in a car. Others were put in the back of a truck, their body parts found many miles away. Two of the women have never been found. These are just a few of the many disappeared that have marked Colombia’s long civil war. 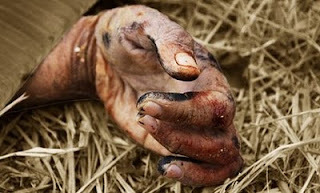 The people who were left alive were told to leave the area and never return. ...Witnesses and family members have recounted their belief that the port was likely at the center of the problems here because it is irresistible to cocaine traffickers who may have worked with the paramilitary leaders who ordered the massacre. As we often see in Africa and throughout the world, indigenous people hounded off their land one way or another. Location location location. Also, Wayuu culture is matrilineal. "A Wayuu man is led around inside a circle of women, who call attention to his Wayuu "assets." 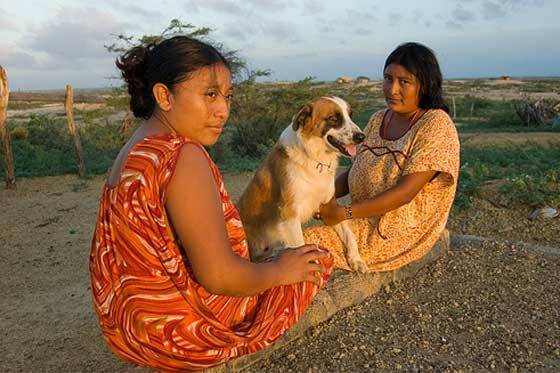 The Wayuu indigenous tribe is a matrilineal society, and women are leaders in their clans." Women have also emerged as cultural guardians for Wayuu society. More and more Wayuu from this region have been displaced to the cities, where their nomadic rural culture is disappearing. As we journeyed out of the city to the remote, dusty roads of this desert region, the signs of modernity disappeared. A matrilineal culture under attack. Part of the narrative we've been following for the past year or so revolves around Hezbollah. For some time now there have been linkages SUGGESTED about Hezbollah, and Lebanese communities, and drug trafficking, and various dangers making their way through Europe, Africa, to South America and/or the Caribbean, to Mexico, and into the United States. Very often, as is typical, suggestions and accusations are made by anonymous sources, or retired experts, or think tanks. Frequently the facts presented are very very thin, but we learn that "officials fear" and so forth. 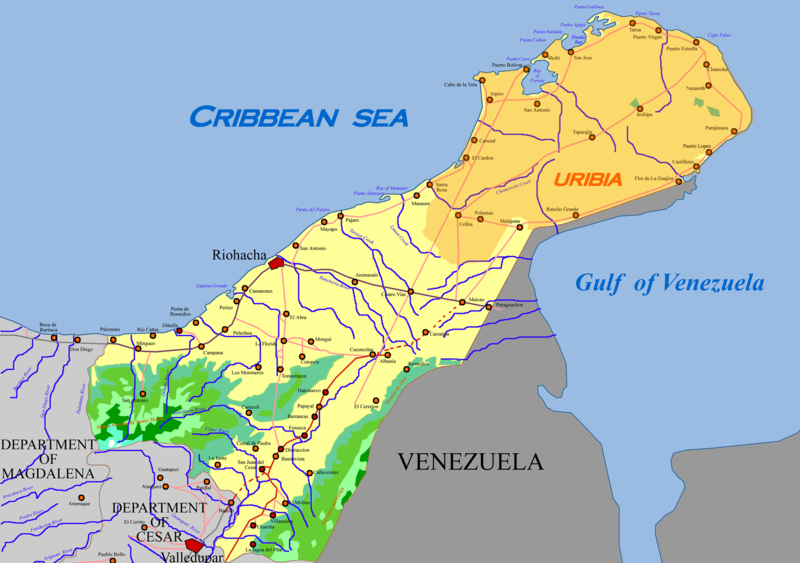 The Wayuu are part of this narrative. It is so much harder to find the truth about organized crime, like who runs organized crime. Or how the drugs manage to make their way around the world. Or how massive quantities of drug monies are laundered through big banks. Or the scale of corruption required to keep all this going year after year after year. It is so much easier to accuse Muslims (of course), and some group of indigenous people. After all, who has ever heard of them? Who will come to their defense? Islam has shown growth in Latin America, once a monolith of the Catholic faith. For example, the Wayuu Guajira people of Venezuela and Colombians– native Americans who live in the tropical forests – have provided numerous converts to Islam over the last decade and some of them are declared jihadis – warriors for Islam. Efforts to convert native peoples to Islam have been fostered by Iran with investments of money and other resources. Wayuu Guajira Indians are the largest indigenous group in Venezuela and Colombia (about 135,000 in Colombia and 170,000 in Venezuela). On October 23, 2006, the police in the Venezuelan capital found two explosive devices near the American Embassy. One of the bombs was in a box which also contained propaganda brochures for Hezbollah. Hezbollah Latin America claimed responsibility for the attack. 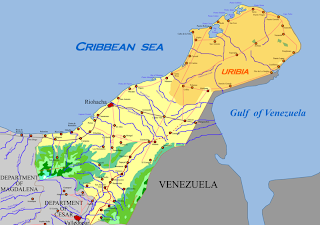 Hezbollah Latin America is an organization based in the Wayuu Indian population and also calls itself Autonomia Islamica Wayuu (Wayuu Islamic Autonomy).Its website http:/groups.msn/AutonomiaIslamicaWayuu [link defunct - ed.] is written in Spanish and Chapateka (a combination of the Wayuu language and Spanish) and claims activity in Argentina, Chile, Colombia, El Salvador and Mexico. oh thanks. that one took a while to sort through. Your effort was well worth it pez. 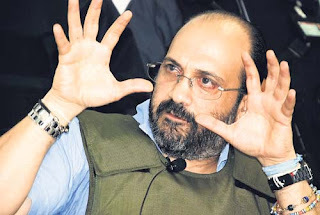 There always seems to be an Israeli connection in the major criminal enterprises. It's what they do. I haven't thought about matrilineal cultures in a long while. I hope they can survive. thanks Kenny. i hope they can survive too. a matrilineal indigenous culture? -- an irresistible target for tptb to destroy. Destroying matrilineal cultures is the holy work and calling and directive of the baphomets and jehovahs and their bs ilk for 5000 years. Israhell has been the hit-man and trainer and supply-man for all the fascist dictatorships over indigenous peoples since the 60s around the globe. "Islamic Wayuu" - oh pleeeze! Its all so ridiculous and absurd and it MAKES MY BLOOD BOIL. The Real people have suffered waaaay too long under this bs, and "them" are goin DOWN. you know it. and speaking as a woman, i know it too.